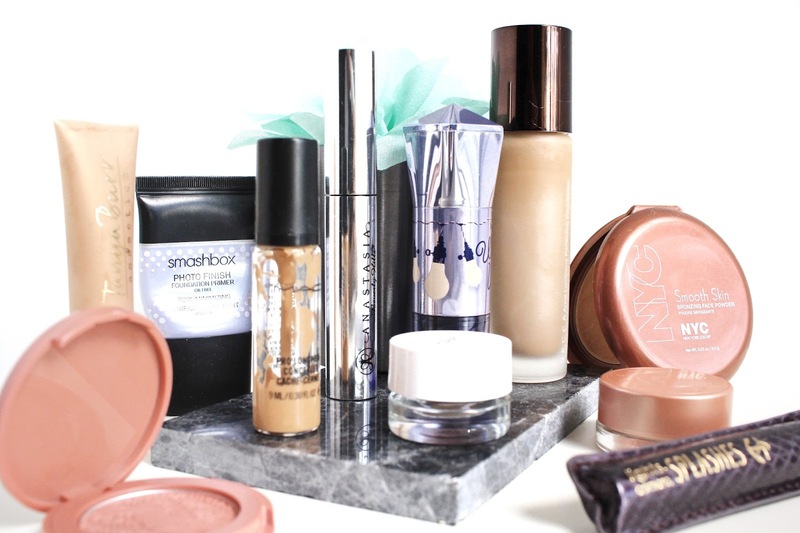 The other week, I was packing some makeup for an away-from-home trip and I decided to pop the Smashbox Photo Finish Pore Minimizing Primer in there. I'm really trying to finish up a some of my collection at the moment and seeing that this was nearing the end, I'll be trying to use it up and hopefully feature it in a future empties post. Next on the list, is the Becca Aqua Luminous Perfecting Foundation. I haven't used it in a hot minute, but after pulling it out for this makeup look, I fell for it all over again so it'll be getting a ton of love this month. 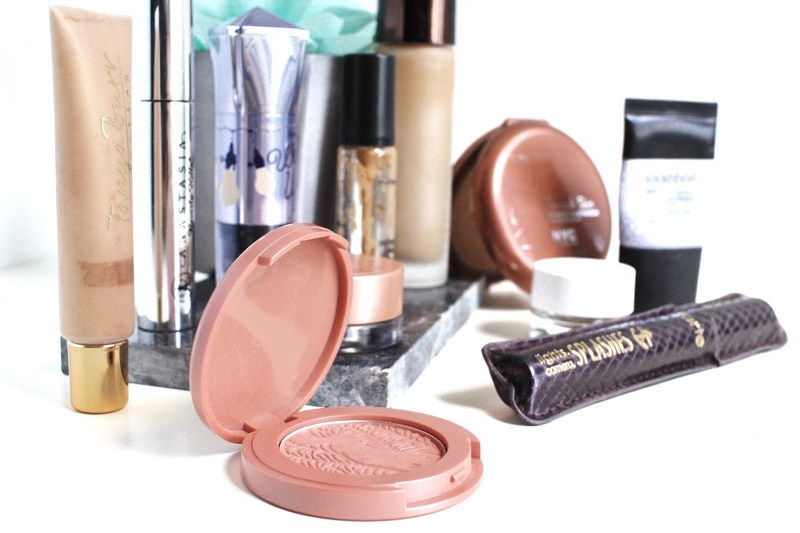 Keeping with the face, I'll also be reaching for the NYC Sunny Bronzer - an oldie, but a goodie. If you could take a look inside the compact, you'd see that I'd already hit pan. Again, trying to finish it up. I already have a back up of this guy. For blush, the Tarte Amazonian Clay Blush in Paaarty will do. It's such a pretty shade and these Tarte blushes are amazing! 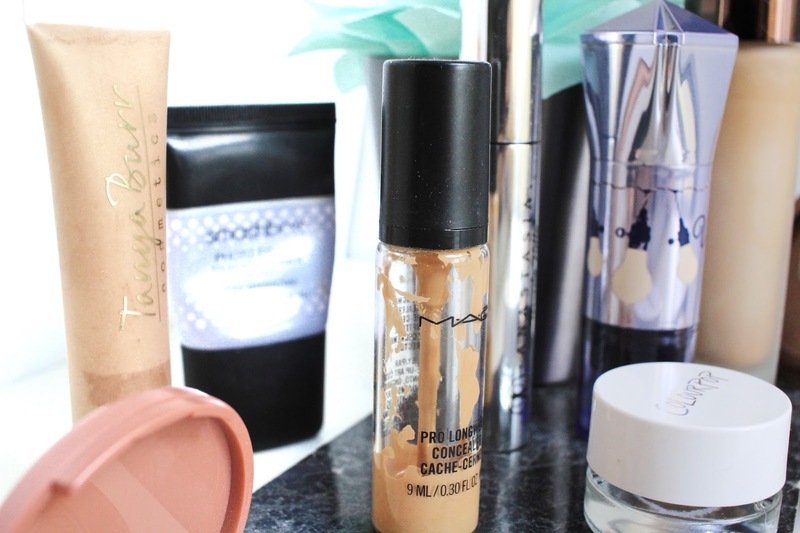 Speaking of finishing up products, I've had this MAC Pro Longwear Concealer for ages! Thanks to the clear bottle, you could see that it's almost finished. Hoping that this is the month I finally get to say ¡hasta la vista! to it. To be honest, my sleeping schedule has been complete crap lately. So much that sometimes concealer can't even brighten up the dark circles that are starting to show up under my eyes. The only other option, beside getting enough sleep, is a colour corrector right? The Becca Under Eye Brightening Corrector will be helping me on those days when I feel like I need an extra boost for brightness. If you could recall from my last haul, I picked up one of the ColourPop Brow Colours. It's in a much lighter shade than the shade I use in ABH Dip Brow, but I like to go lighter on the brows during the warmer months. A lighter brow shade is especially ideal for those no-makeup makeup days. Another thing I'll be using on the brows is the Anastasia Beverly Hills Clear Brow Gel. I totally forgot about this guy. But seriously, this thing is like hairspray for your brow hairs. Excited to be using this again. For mascara, the Tarte Lights, Camera, Lashes mascara will be coming out to play. I remember loving this way back when, but after finding the Maybelline Lash Sensational, every other mascara I had never saw the light of day. I used this the other day and was quickly reminded why I loved it so much. I think I picked up the waterproof one and back then it was so hard for me to take it off, so it was tossed into my drawer. Now that I find it easier to take off all my makeup (shout out to the Clinique Cleansing Balm! ), I'm going to enjoy using this again. 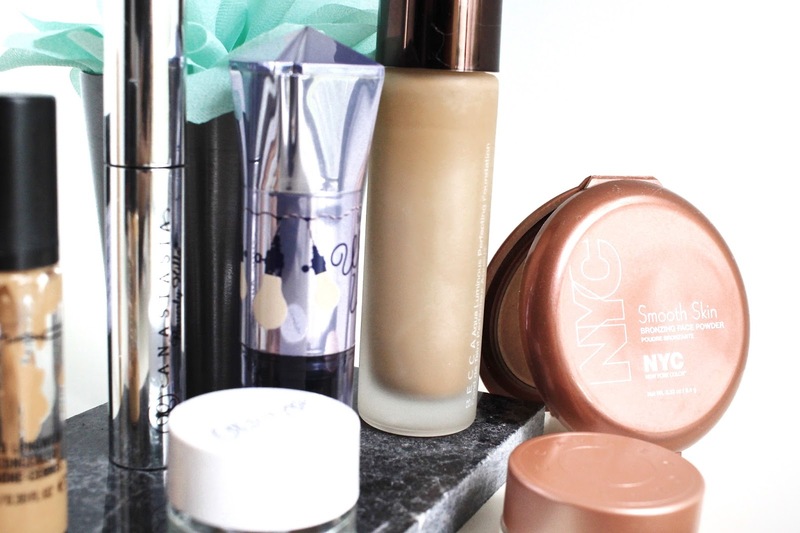 Last, but certainly not least, the most important part - highlighters! I have two to mention. First up, this Tanya Burr liquid highlighter that I won from a giveaway. 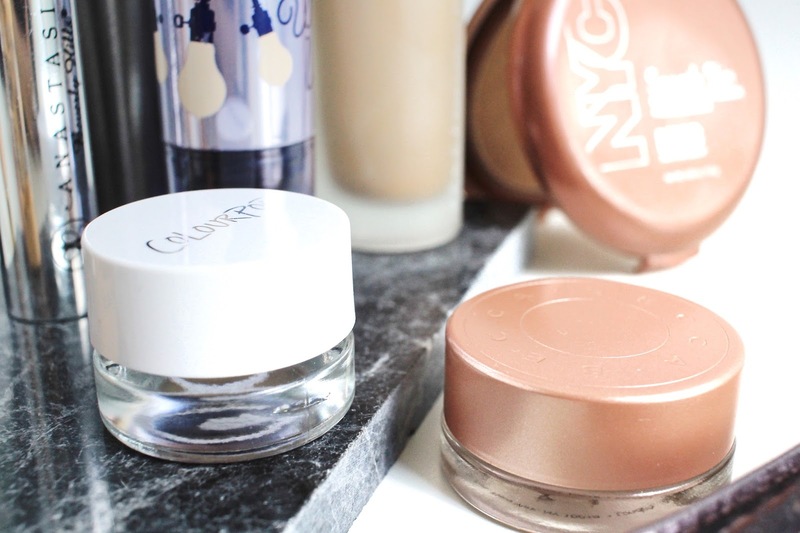 Since it is warmer, I want to reach for less powder, more liquids/creams. Also, this is one of the first few products I'm trying from Tanya Burr, so I'm hoping it'll leave a good impression for the brand. Lastly, the Benefit Watts Up Highlighter. I know I mentioned this in my Beauty Products NOT Worth The Hype post, but let me explain - I don't use this on my face. Instead, I use it on my collarbone and on my shoulders to add a healthy-looking shine. Gotta have those things poppin' when the sun hits! Have you tried any of these? What will you be reaching for this month?